Another amazing sequence on 'Planet Earth'. The kill itself wasn't shown - it was presumably protracted and very bloody. I always thought that lions killing elephants had been known for quite some time; it was featured in National Geographic a decade ago, no? yeah...I'm pretty sure I have seen some national geographic documentary that showed large pack of lions taking down adult elephant. And yes I have Patterson's book about his adventures in capturing them. Quite the tale of the Ghost and the Darkness indeed. 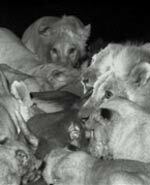 In what ways are the Serengeti lions different from those living in other parts of Africa? Is it to do with their social lives? Well, it's time to break out all the footage of adorable baby lions, I guess. Lions gotta eat, too, you know? Watched the sequence with interest. It harked back to my own 'theories' on how big-brained, large-eyed Homotheres hunted mammoths in Ice Age N. America. With regard to the Tasavo man-eaters, I'd also recommend a book I recently read called Man-Eaters of Eden, which actually considers that the lions of Kruger National Park are by far and away the most successful historical man-eaters. Check it out. It would be easy to write a whole blog post on the variability within lions (maybe, one day, I will). Briefly, lions across Africa and Asia differ tremendously in body size, in skull shape, in size, extent, colour and presence of the mane (not all lions have manes), and in social system. The Serengeti-type lions that we are most familiar with live in prides of about 6 females defended by coalitions of 2-4 males, and these males have thick, tawny-coloured manes. This isn't typical for all populations. In the Tsavo lions, for example, single maneless males defend prides of more than 7 females, and there are various other deviations among the species. I agree with your comments about not taking too sentimental a view about natural hunting. But conversely I am annoyed by the way that some wild life presneters identify too strongly with the predators. 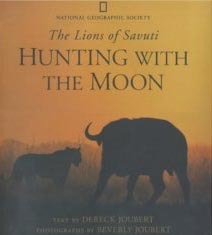 The series 'Big Cat Diary' provided plenty of examples of commentators 'justifying' big cat hunting behaviour with the 'its only nature' response, while taking a very different line when the herbivores strike back. I recall one scene where an elephant seemed to get fed up with a pride and charged them, trampling many of the cubs to death. That is just as 'natural' - and the commentator's remarks betrayed a onesided viewpoint. Interesting remarks, I linked to your blog from www.elephant-news.com. Great post Darren. As a member of a species that still tortures and kills other members of the same species over minor religious differences, I find my own squeamishness interesting. I've seen animals do things that are absolutely horrid to watch, but very interesting as behavior. I have my own special place in my head and heart for elephants, but I know for a fact that I would have hunted them mercilessly had I been born in a cave 10,000 years ago. I'm rather glad I live in a time and place when I can afford to be a little squeamish. Has enough work been done on lion DNA to clearly distinguish the extinct cave lion from the African lion? The maneless Tsavo lions could be relict -- relict is the wrong word -- cave lions, which were depicted as maneless; it could be they're all lions and the species is wildly variable, too, and I'm curious if anyone knows. Fantastic, is there any other difference besides pride numbers? I wish they would make a site with all the details of the kill. A bit like National Geographic did with leopard seals (caution, it's gory). Quick response to Graydon's comment: it has indeed been suggested that the maneless Tsavo lions are a distinct, or even relict, type of lion, informally dubbed the 'Buffalo lion'. Tom Gnoske and Julian Kerbis Peterhans have proposed that Buffalo lions are a basal lion lineage, directly descended from the maneless lions of the Pleistocene, and in many respects distinct from Panthera leo proper (Gnoske & Peterhans 2000, von Buol 2000). It is this contention that led Bruce D. Patterson and colleagues to collect DNA from Tsavo lions. This data shows, surprisingly perhaps, that the maneless Tsavo lions do not differ from 'normal' eastern or southern African lions, and that the Tsavo lions do not warrant special taxonomic status (Dubach et al. 2005). Their manelessness must be secondary. The unusual physical and social attributes of the Tsavo lions seem to illustrate how ecomorphologically flexible lions are - a statement that is backed up by lots of additional variation seen within Panthera leo. Dubach, J., Patterson, B. D., Briggs, M. B., Venzke, K., Flamand, J., Stander, P., Scheepers, L. & Kays, R. W. 2005. Molecular genetic variation across the southern and eastern geographic ranges of the African lion, Panthera leo. Conservation Genetics 6, 15-24. Gnoske, T. & Kerbis Peterhans, J. 2000. Cave lions: the truth behind biblical myths. In the Field 71, 2-6.
von Buol, P. 2000. 'Buffalo' lions. A feline missing link? Swara: the Magazine of the East African Wildlife Society 23 (2), 20-25. Nice to get a definitive answer, and I suppose that the ecomorphological flexibility is every bit as cool as relict cave lions would have been. It went on to state that ‘If you have any sentimental feelings about lions, prepare to lose them’. I think they're right. "Sentimental feeelings" are not at all what you have; they're that sappy, animals are just like people, Disneyesque feeling that people have for "Our Furry Friends". It's the polar opposite of the "appreciation" you have. "But I'm not an animal lover," he says emphatically. His face scrunches up in disdain. "Animal lover means sentiment; a cloying, anthropomorphising sentiment. I don't love earth worms or spiders. They're rivetingly interesting and they give me huge intellectual pleasure. And aesthetic pleasure, I suppose. But that's a different thing altogether." That's not the same as loving them? "No. It's the word 'love' I don't like. The phrase 'animal lover' - well, it just grates on me! That's why I'm irritated when people use it on me. They say, Oh, you're an animal lover!" He glowers. "I say, I am NOT an animal lover." People who prettify lions in their mind - people who are Lion King about them, for instance - would indeed be horrified at footage of them killing an elephant. Well said; I agree wholeheartedly. In the National Geographic series "Be the Creature" with Chris and Martin Kratt, they do an episode on "Being a Lion." 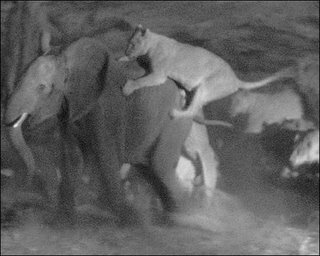 They show a Pride of lions - sorry, I do not remember where in Africa - taking down a baby elephant. They pretty much show the whole thing, and this is a show aimed at *kids*. Pretty shocking documentary. To see such a large, "vegetarian", social being cornered by a group of smaller animals. Quite unfair. Should also appreciate the courage, ruthlessness and creativity of the pride. Guess it would've been okay if the elephants had retaliated in some way. The sadness would've mitigated. I guess I might be lacking in the sentimentality department; my reaction on seeing this was pretty much "cool!". 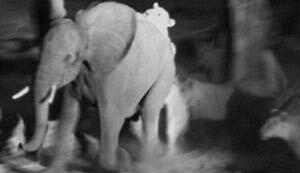 Feeling sorry for the elephants didn't occur to me. Lions are doing what they are supposed to be do. However, what humans are doing to all the animal species is appalling and pathetic. China/Japan/Korea/Turkey/Spain you name the country and they are murdering animals in thousands. According to some shark experts, most of the shark species population is down by 90%. Has any one thought about consequences of Chinese and Japanese brutal eating habits? Eating monkeys, dogs, and lion & Tiger steaks. One day we humans are on the menu across the Chinese food malls and that day is not very far. Chinese are gobbling up all the animal species at very rapid pace.